The Humanitarian League, originally called the Humane Education League, was founded in 1960 by Ethel Palmer in Ft. Mitchell, Kentucky. Palmer believed that teaching children to be kind and compassionate created a more peaceful world. 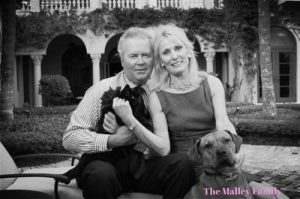 Teaching universal kindness and compassion for all living creatures is still the heart and soul of the league today–now under the direction of Palmer’s daughter, Jan Malley. The Humanitarian League provides financial assistance for small to medium sized non-profit organizations in the Northern Kentucky and Greater Cincinnati area. The league chooses organizations that serve the helpless, voiceless, and those that rely heavily on volunteers. The Humanitarian League has about 30 active volunteers and is always seeking more. Volunteers are needed to teach educational programs, assist with fundraising and public relations. Please use the contact form if you’re interested in becoming a volunteer and one of our league ladies will contact you. The Humanitarian League is an all-volunteer 501 (c)(3) organization.